Latest surveys indicate a growing number of enterprises are getting more comfortable with the idea of the cloud. Here is a sample of the feedback. At first blush, it appears that the degree of trust that enterprises place in the cloud depends on whom you talk to. Gartner in August, 2013, reported that cloud technologies and services were still a relatively small part of overall IT spending, with only 38 percent of all organizations in a Gartner survey indicating that they were actively using cloud services. The same survey also showed that 80 percent of organizations said that they intended to use cloud services in twelve months. Conversely, there are industry watchers who feel that cloud is slowly winning the “trust” war already, with a growing number of enterprises achieving a comfort level with cloud. Public cloud offerings continue to invite enterprise skepticism with their widely-publicized failures AWS outage; Azure Cloud disruption; Google Drive outage. 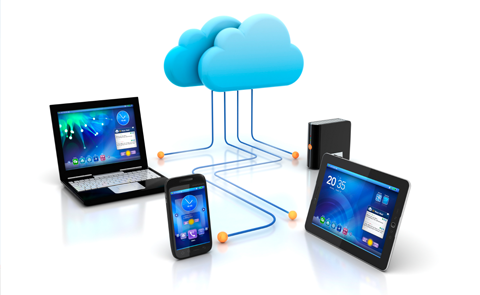 Models of cloud deployment continue to evolve. Many enterprises are moving applications that they initially deployed in public clouds back in-house, feeling that their security will be stronger. The strategy for most going forward, is a vision of a hybrid cloud infrastructure where there will be niches for public clouds, but where the overall cloud architecture will still be controlled by the enterprise. What does this collectively tell us about the “trust” level in the cloud? First, enterprises believe in cloud. Nearly everyone is including cloud application deployments in their plans and IT infrastructures—whether these deployments are public, private, or hybrid cloud. In short, there appears to be growing trust and belief in cloud-based technologies—and their ability to bring value to the enterprise. Second, if we instead evaluate “trust” in the cloud by how enterprises regard public clouds, we are a still a long way from reaching a level of comfortable trust. In part, the trust lag could even be generational. I recently spoke with a CIO at a Fortune 50 company who told me that in his 30 years in IT with the company, he had never seen his mainframe go down! I know of no survey that has measured this, but I suppose it is theoretically possible that others not coming from this heritage might be more tolerant of glitches and outages. Regardless, it should be clear by now to public cloud services providers that enterprises expect more robust service and governance than they are getting. There are still questions and concerns about how comprehensive many public cloud services providers’ service level agreements (SLAs) really are. Of all of the public cloud services providers I have spoken with over the past twelve months, I know of only one that states in writing to its customers that it will financially penalize itself (and compensate customers) if it fails to meet its SLAs. The message to public cloud services providers is clear: they have to improve and aggressively guarantee SLA performance to meet enterprise expectations before some of the “trust barriers” that have formed can be removed.